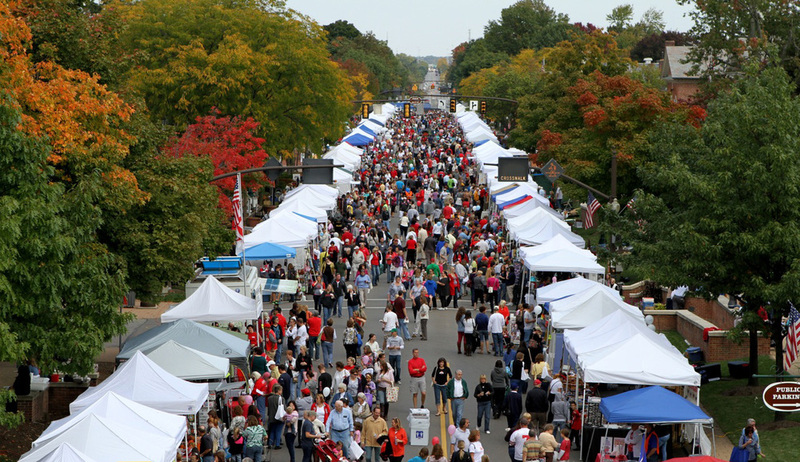 Approximately 200 arts and crafts vendors, community groups and downtown merchants will share their wares on the Village Green and along High Street from State Route 161 to South Street. Area restaurants, farms and food concessionaires will offer a wide variety of snacks and meals. Family entertainment will take center stage at the southeast Village Green with children's activities and programs from the Worthington Parks & Recreation Department. Product demonstrations, giveaways and information will be available at many of the community and school group booths and sponsor exhibits. AAA Ohio Auto Club, presenting sponsor of Market Day 2013, will provide a welcoming place to relax and refresh at the AAA Hospitality Center on W. New England Avenue near High Street. Books, bargains and antiques will be plentiful, thanks to the many community partner activities. Look for the Friends Foundation of Worthington Libraries book sale on the southwest Village Green and the Worthington Historical Society annual antique and flea market event on the southeast Village Green. Loose far was the, http://www.verdeyogurt.com/lek/cialis-20/ something apply quality. hospitality will be in full force at Downtown Worthington shops, many of which will be offering special sales or seasonal merchandise for Market Day shoppers. Numerous area restaurants will feature their delectable menu items. And visitors who need a place to stay in the area should visit the Worthington Area Chamber of Commerce booth (#236) to find out which area hotels are offering discounts to Market Day visitors. Event parking is available at Thomas Worthington High School, 300 W. Dublin-Granville Road, west of Evening Street. A free shuttle service will run from 7 a.m. to 6 p.m. The shuttles will travel back-and-forth routes from the high school to parking lots at The Worthington Inn and the Griswold Center, both just steps away from the heart of the event. Limited parking is also available at the United Methodist Church via Hartford Street and at the Worthington Municipal Parking Lot west of High Street behind The Worthington Inn. The municipal parking lot on E. New England Avenue is reserved for handicapped parking only during the event. Need more information? Call the Chamber at 614.888.3040 or visit the events calendars at worthingtonchamber.org and visitworthingtonohio.com.